Eye pencils can substitute for a brow liner and vice-versa. 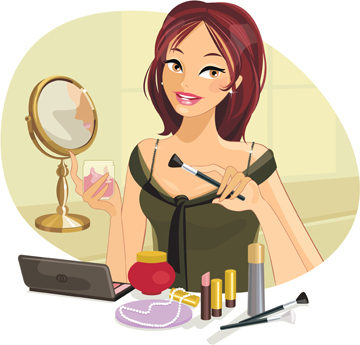 Similarly, eye shadow bases work as concealers, while eye cream can be used as lip gloss. Lipstick can be used as a blusher; while powder blushers can work as eye makeup – for more intensity, apply with a wet brush. Vaseline is the most versatile – use as a lip gloss, hair smoother, makeup remover or for adding a sheen to your eyes. So, what are your secret makeup multi-tasking tips? Would love to hear them!